The Opening Ceremonies for the 2015 Pan American Games on July 10 saw the 12 members of the U.S. women’s basketball team and their coaches walk into the Pan Am Dome (also known as the Rogers Centre) as a part of a U.S. delegation that lists a total of 625 athletes. Entering a sold-out stadium of 45,000 spectators is a powerful moment for any athlete, including 5-foot-11 USA guard Shatori Walker-Kimbrough (Maryland/Aliquippa, Pa.), who is playing on her first USA Basketball team. “It was a great experience,” Walker-Kimbrough said. “I was just soaking it all in. This is my first time, and it’s a great opportunity. 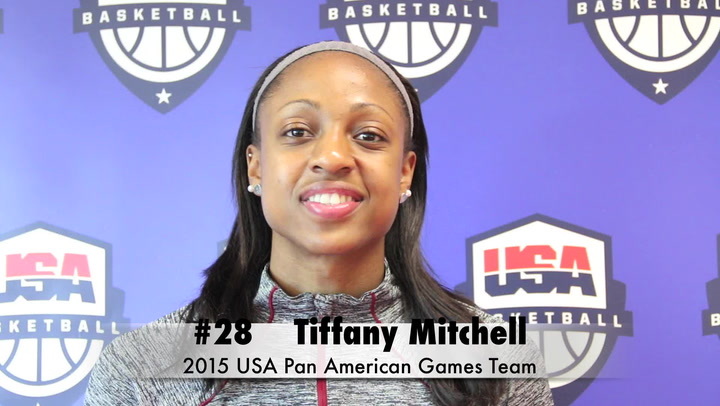 “It was surreal seeing all the different (athletes) here to compete and represent their own country. They are here doing the same thing that we are. They want to win for their country. 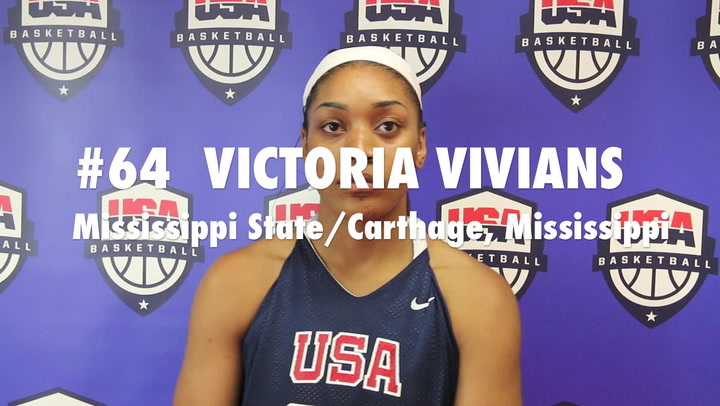 USA guard, three-time NCAA champion and two-time USA Basketball gold medalist Moriah Jefferson (Connecticut/Glenn Heights, Texas) had an emotional reaction as well. “The village is good,” said Jefferson. “The food is great, everyone is nice and the facilities are nice. I’m enjoying it. 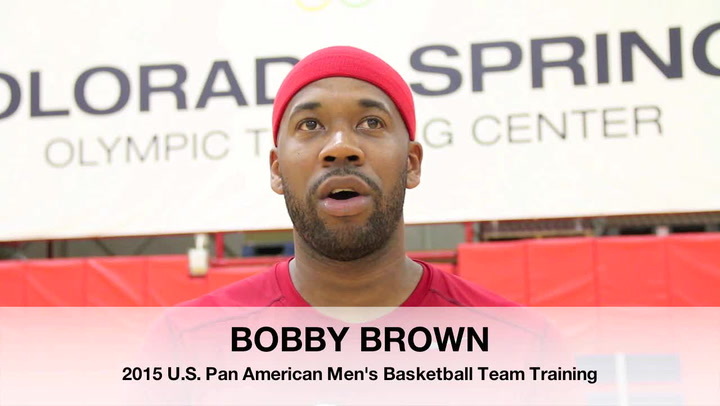 The USA’s journey to Toronto began at training camp in Colorado Springs, Colorado, back on July 3. After practicing twice nearly every day, the USA departed for Canada on July 9 and stayed in a hotel that night before settling into the village on July 10. On July 11, the team took to the basketball court in Toronto for the first time, including the competition court at Ryerson University. “Anytime you get a chance to get on the court and get some shots, that’s important.” Jefferson said. “It’s a really nice court. Training at altitude in Colorado (6,200’) helped, so we are feeling good going up and down. The USA will face senior national teams from throughout North, South and Central America and the Caribbean, opening against Brazil at 9 p.m. EDT on July 16. Before that first game in preliminary play, however, the USA will take on Brazil and Canada in scrimmages. All 12 players and the coaching staff know that the friendly contests are going to help the USA prepare, and it is likely they also would agree with Jefferson and say they are anxious to get started. 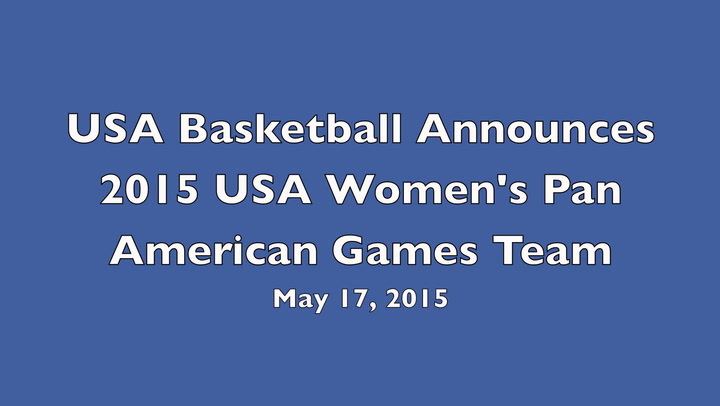 You can follow the U.S. women’s basketball team on Twitter at #USABwpag. 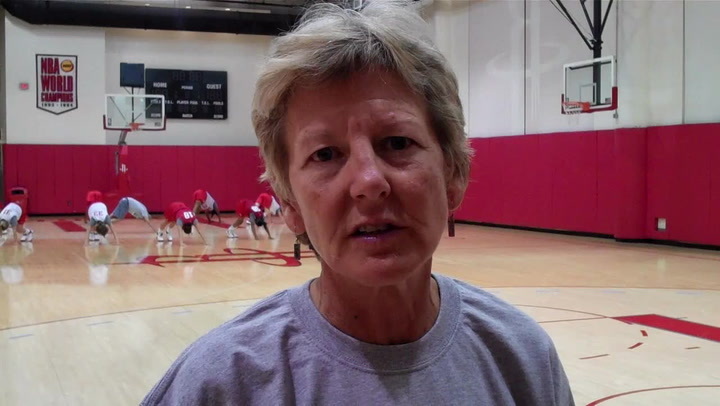 Hear from USA head coach Ceal Barry, as well as Shante Evans, Tavelyn James and Avery Warley after the first practice for the 2011 USA Women's Pan American Games Team on Oct. 15, 2011 at the Toyota Center in Houston, Texas.